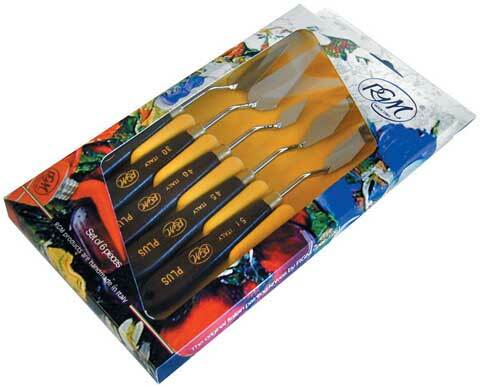 This set contains six best-selling Italian painting knives (#6, #41, #45, #50, #81, #110) offered at an exceptionally low price. They are manufactured of quality nickel-plated carbon steel and feature solid brass ferrules and hardwood handles with peg holes. Each blade is tempered and ground by hand to assure consistent flexibility and quality.